Veneers are like thin shells, helping to hide a variety of tooth imperfections such as staining, damage and cracked teeth. Placed on the front surface of a tooth, tailor-made veneers are crafted from porcelain, ceramic or composite for a natural looking result. 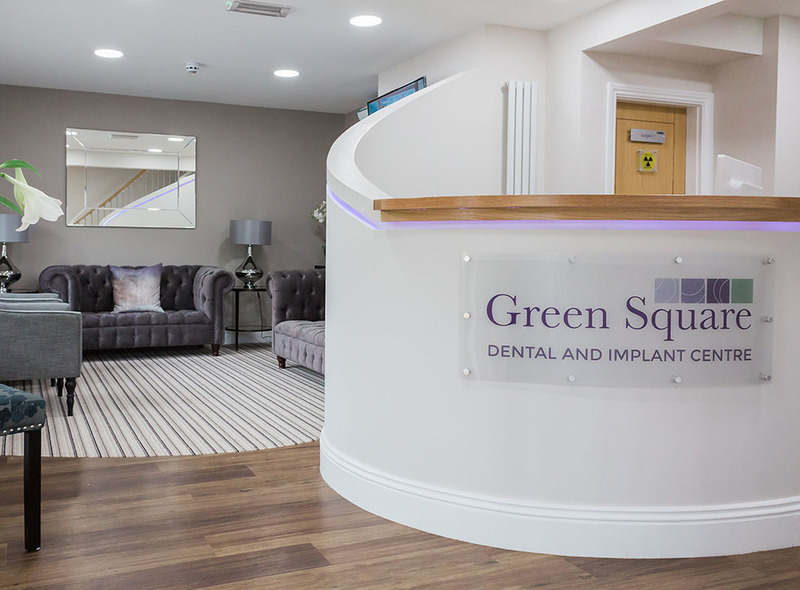 Under local anaesthetic, we remove a small amount of tooth enamel to allow the veneer to fit comfortably. 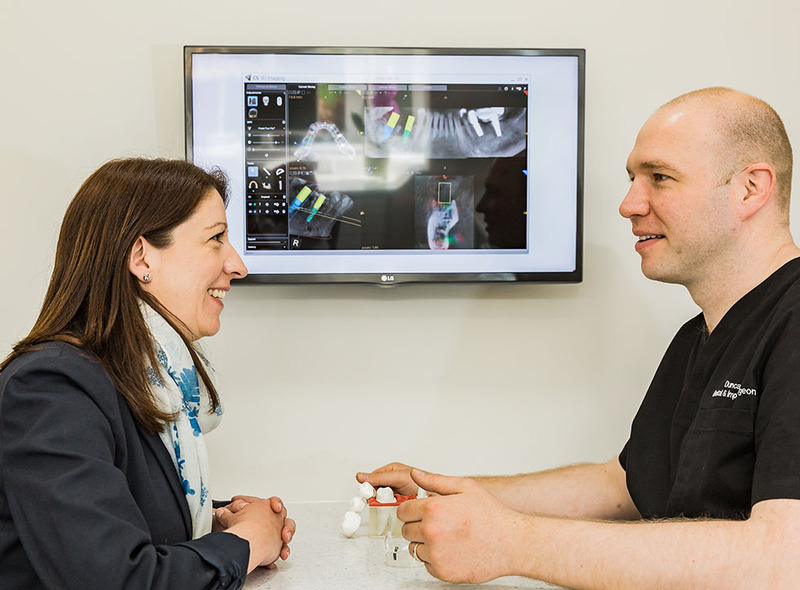 We take an impression of your teeth and send this to a laboratory so an accurate veneer can be produced. 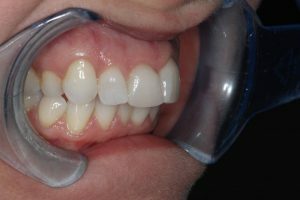 Following an etching process which helps provide a suitable surface, and after any necessary adjustments, we will affix the veneer to your tooth with dental cement. Good oral health and regular check-ups will ensure these smile improving veneers stay in place for years to come. 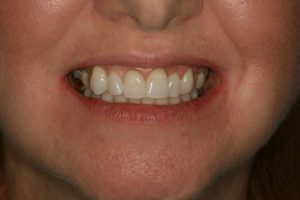 A patient came to us unhappy with her top row of teeth. The problem was identified as crowding casing one tooth to be pushed back from the rest. 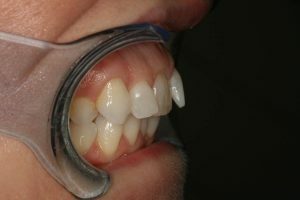 This caused shadowing meaning the tooth looked darker than the rest of the teeth. 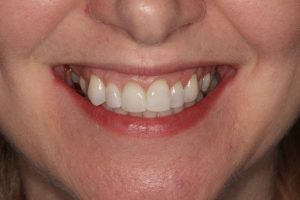 Even though the teeth were all the same shade a single a veneer would help bring the appearance of the tooth forward making a huge difference to the appearance. 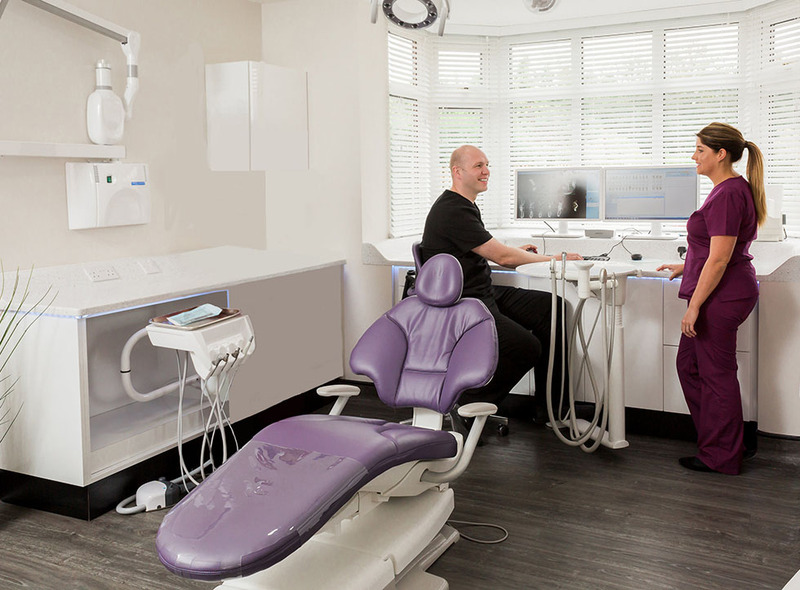 See more of this case studies before and after photos in our smile gallery. The cost of veneers starts from £590.00. 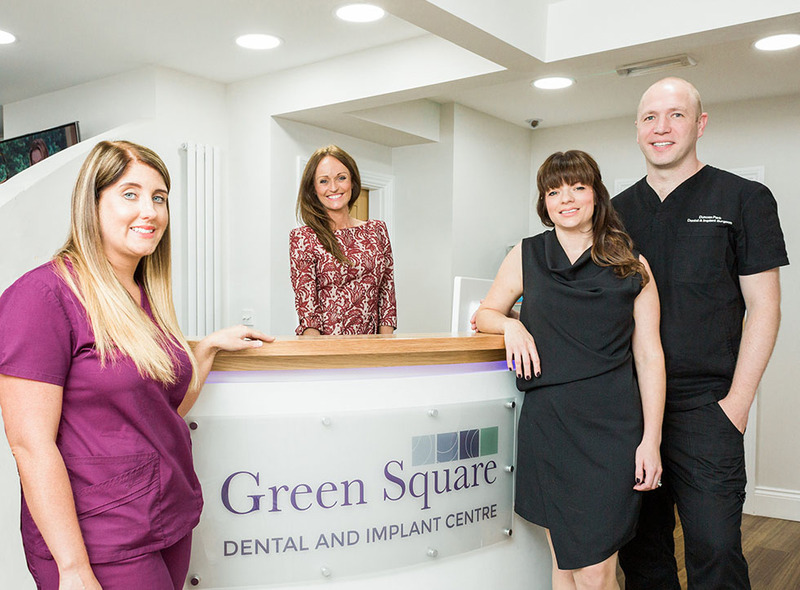 Book an appointment at Green Square Dental to find out more.